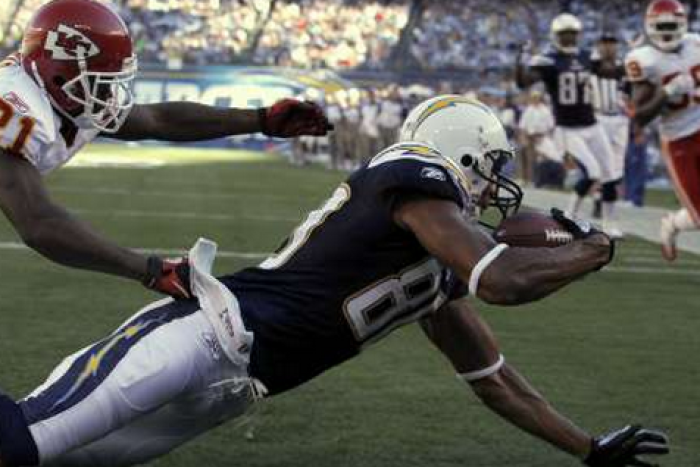 The Oakland Raiders and the San Diego Chargers will clash in a big NFL 2013 Week 16 clash on Sunday. The Chargers are still in with a shout at snatching a playoff position over the final two weeks, but they will have no room for any slip ups; put simply they must win today and next week to stand a chance. The game will start at 4.25 p.m. ET and can be watched online through free live stream (details below). The Chargers come into this game on 7-7 and at present if the season ended now they would occupy the no. 8 seed position in the AFC Conference – which is not good enough to make the playoffs. In recent weeks the Chargers have claimed some fantastic wins, defeating both the Kansas City Chiefs 41-38 in Week 12, and then the Denver Broncos 27-20 last week on Thursday Night Football. Those two wins have seen them claim victory in three of their last four games. That has surged them up into playoff contention, and if they can defeat the Raiders today, they will host the Kansas City Chiefs in Week 17 hoping to replicate their win over the Chiefs at the end of November. Many are calling the Chargers' win over the Denver Broncos last week as the shock of the season so far. However, it would be more shocking if the Chargers were able to make the postseason, as for much of this season they were lacking something and struggled badly at times. Philip Rivers is 337 of 482 for 4,048 yards and 28 touchdowns. Those impressive stats have helped the Chargers to claim a 4th rank in the NFL for total pass yards posted per game (279.5 yards). Their total yards gained on average per game has also impressed, and San Diego have managed to claim 396 yards per game in total – enough to rank them 6th in the league. The Oakland Raiders and the San Diego Chargers will start at 4.25 p.m. ET and can be watched on TV on the CBS network or online through free live stream by clicking here.